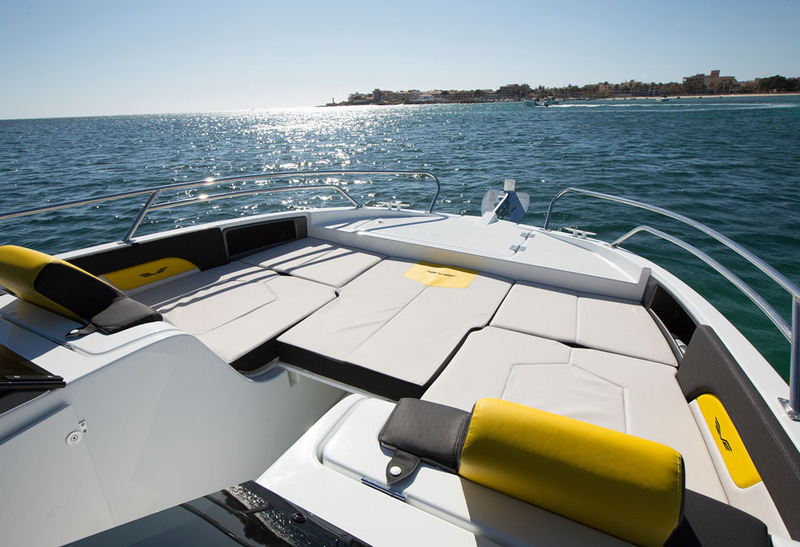 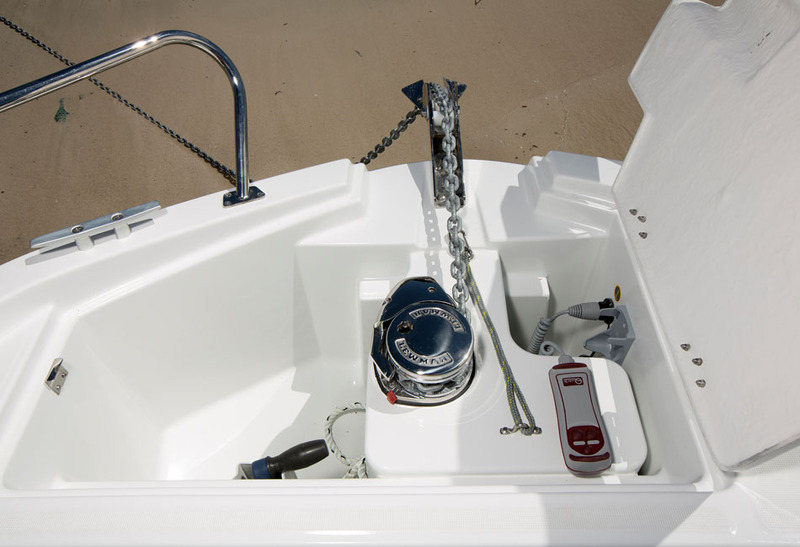 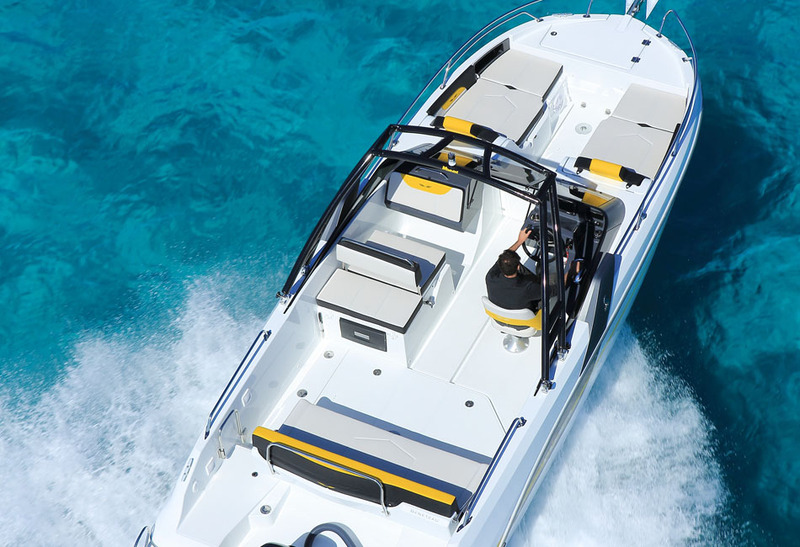 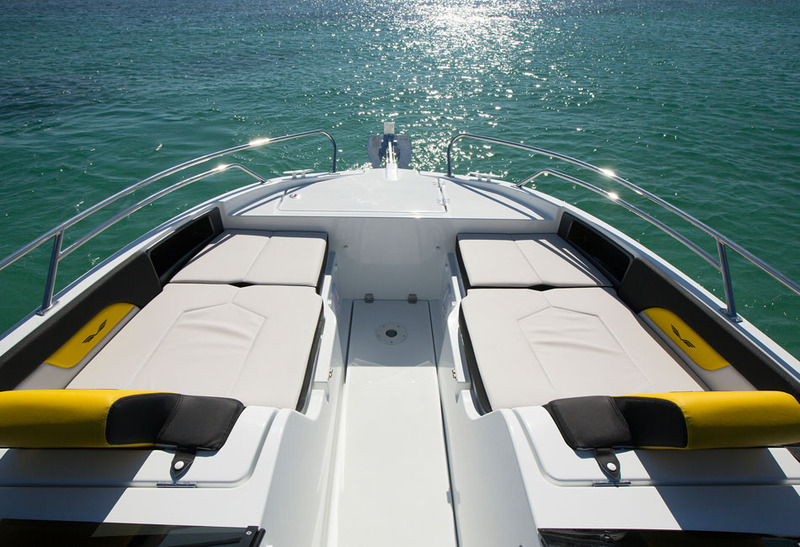 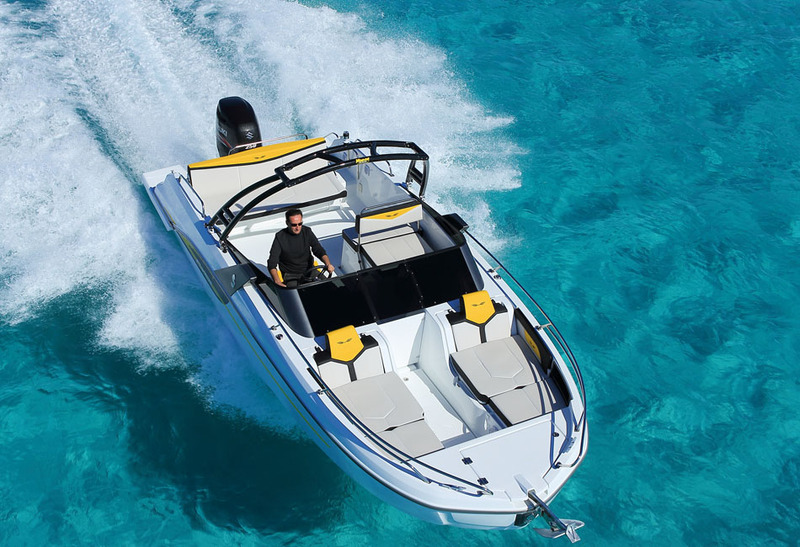 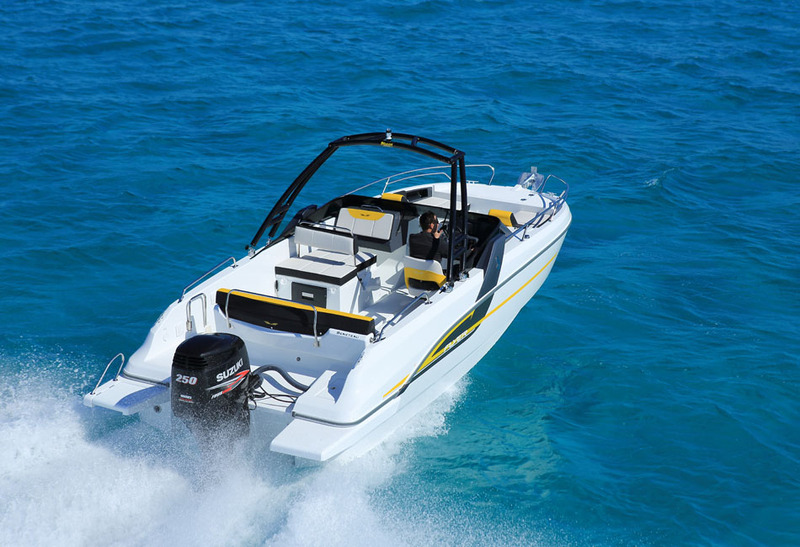 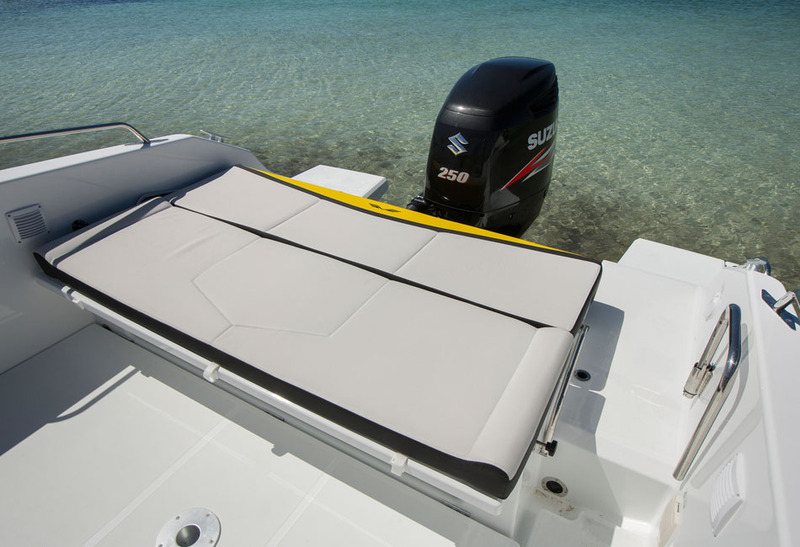 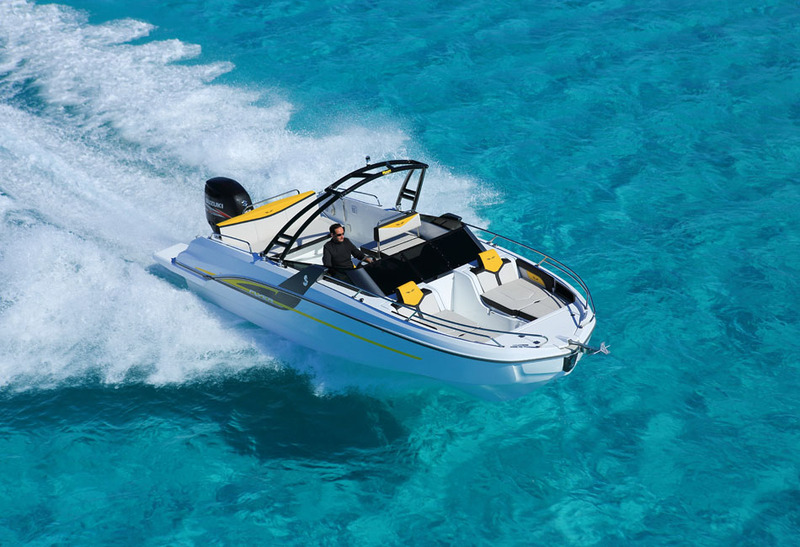 The Flyer 7.7 Sportdeck uses the latest generation Air Step® hull which adds to her sporty and elegant character. 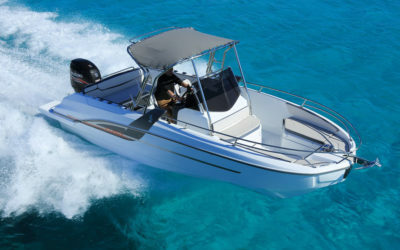 She is delightful to drive out even at top speeds. 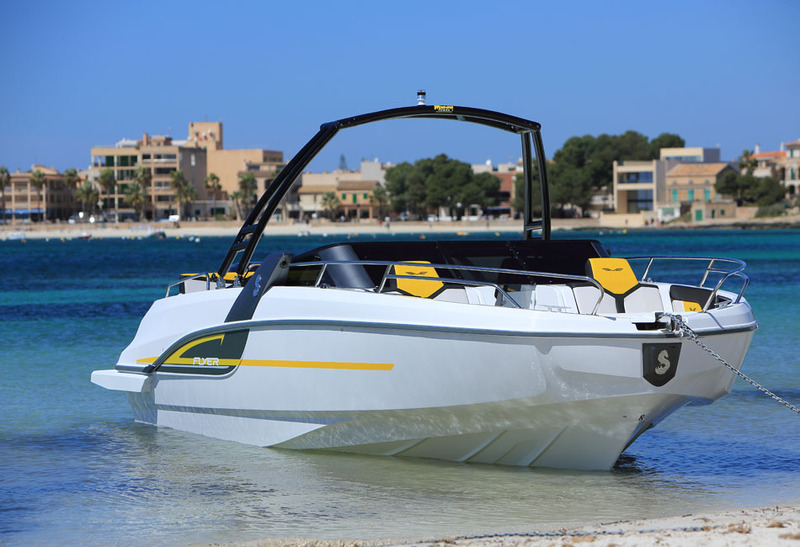 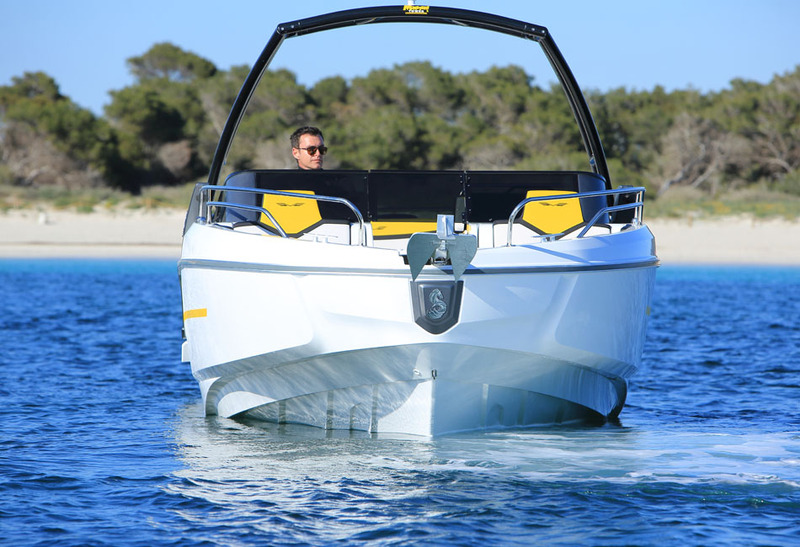 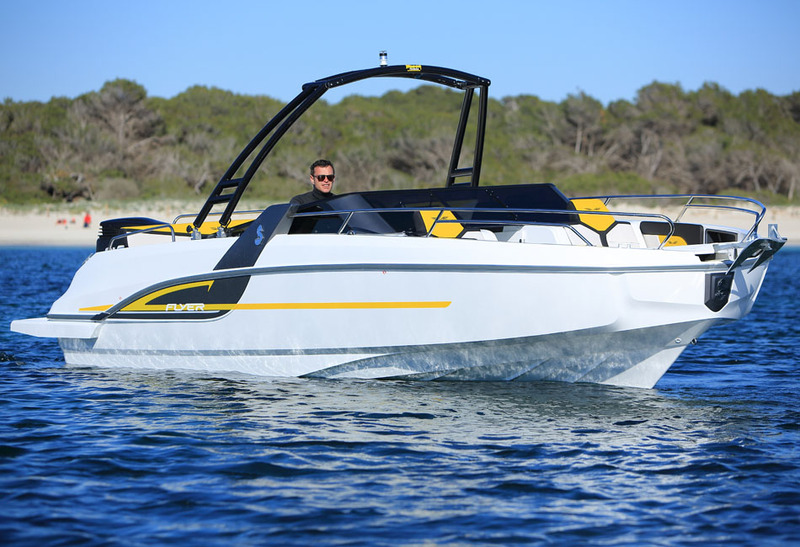 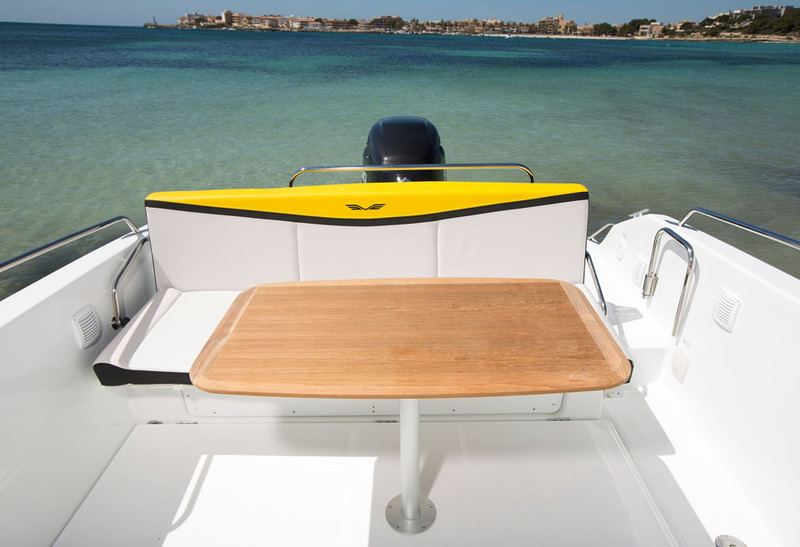 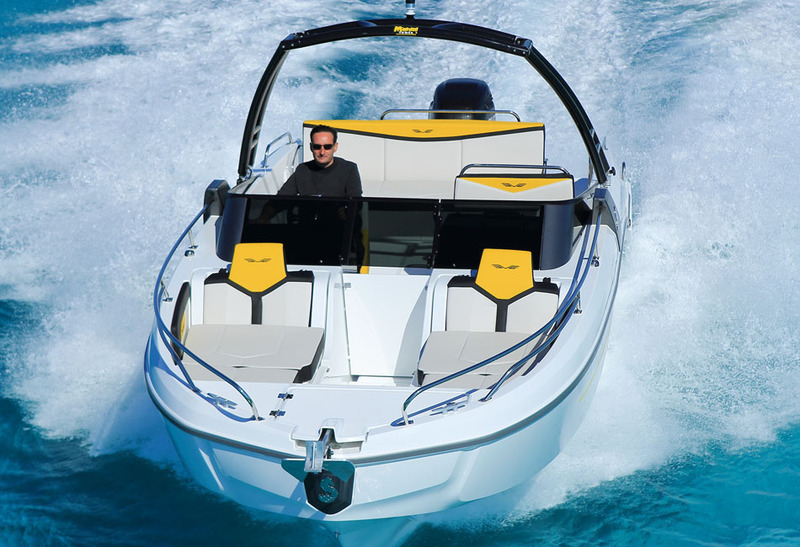 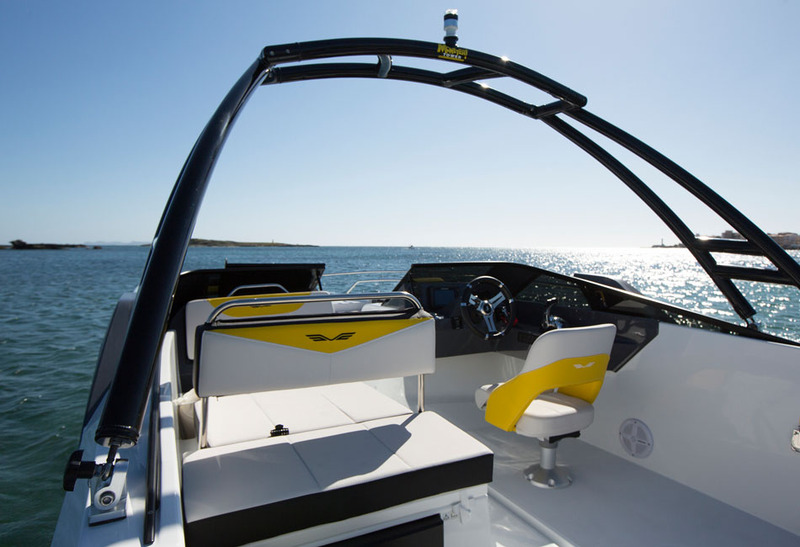 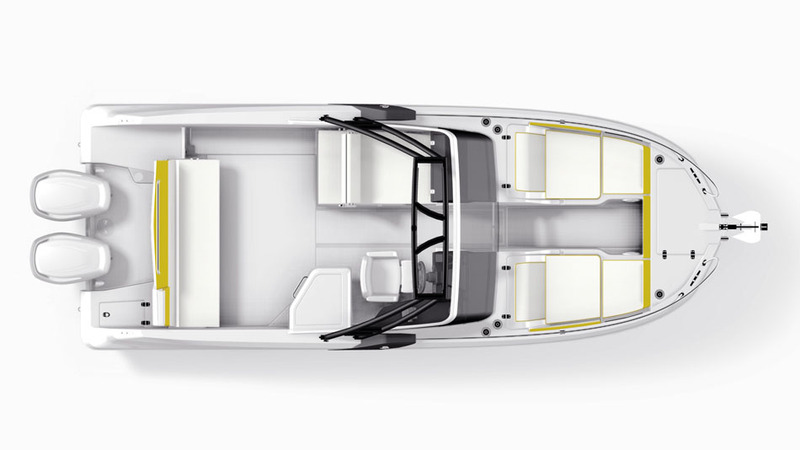 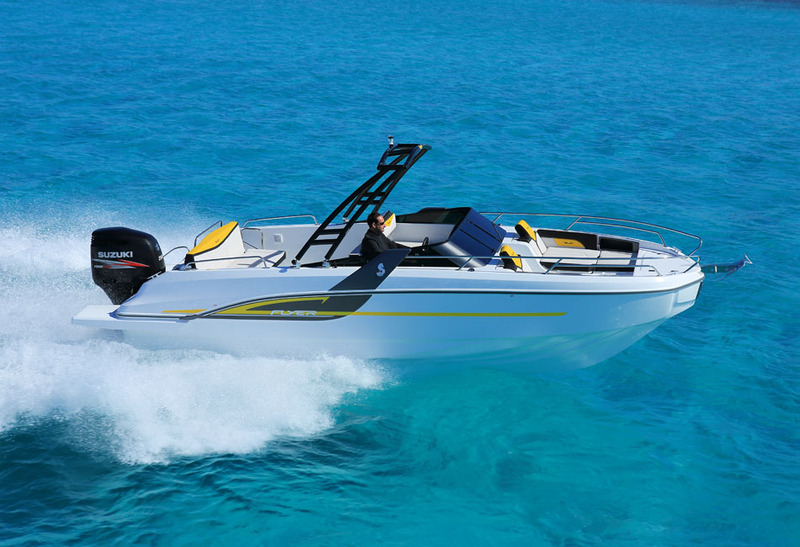 The Flyer 7.7 Sportdeck reimagines the classic American bow rider style. 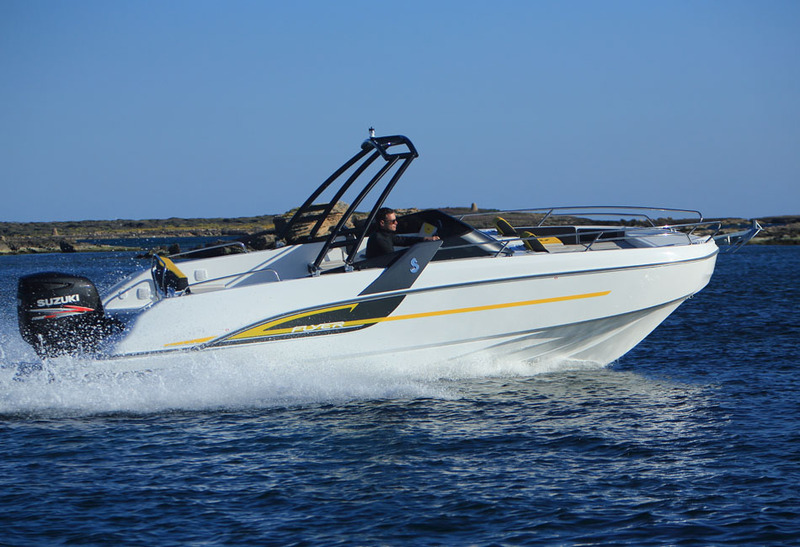 She is sporty with her snow and yellow colors, while her pronounced v-shaped bow and vertical surface of the hull deflects water effectively. 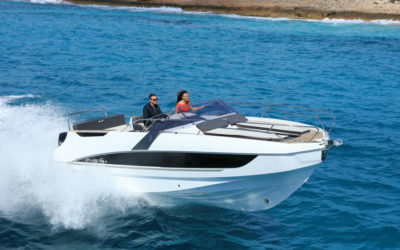 She can comfortably accommodate up to 10 passengers, with spacious seats and safe mobility. 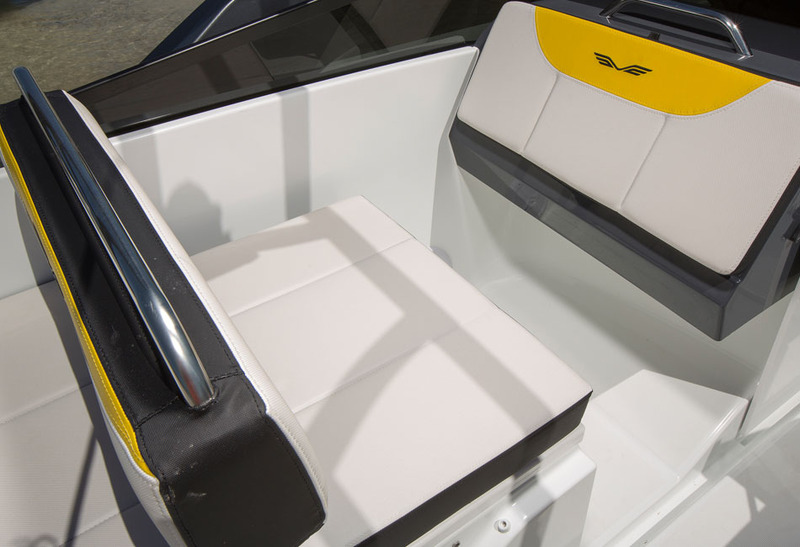 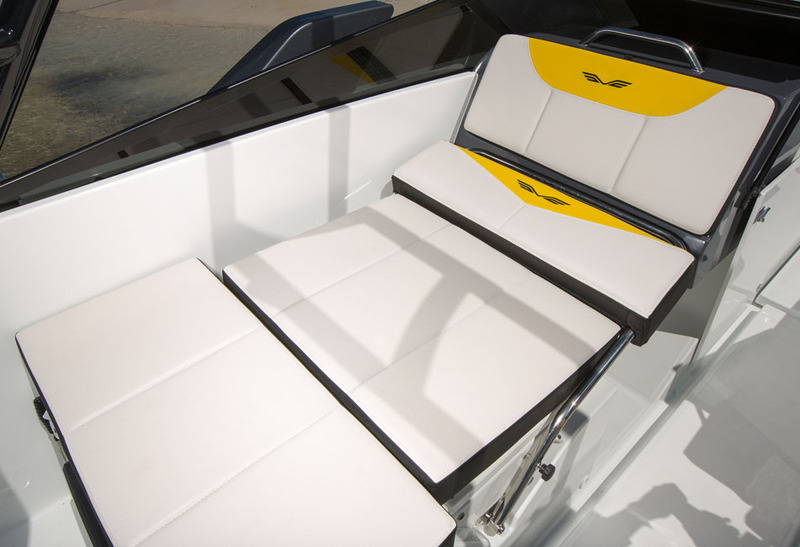 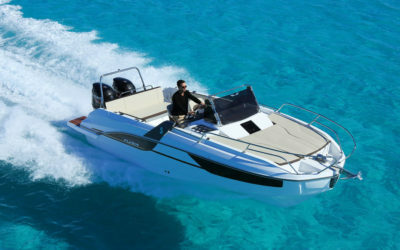 Captains will love the driving seat which is equipped with a bolster function for added comfort.